For this post, I’m only posting about the free portion. I fully intended to go to Islands, get a bowl of soup and my free birthday dessert and that was it. But I was tempted and got a chicken sandwich and fries instead. Oh well. My waiter didn’t even take the printed out coupon I brought. He told me I could keep it and use it later and just told the staff that it was my birthday and got me the dessert. No candles or singing, either. Score. The retail price on one of these suckers is $5.99. Not too bad. Way too much for one person to eat. I think my eyes might have popped out of my sockets when my waiter placed it down before me. The first few bites were heavenly – very warm and tasty. 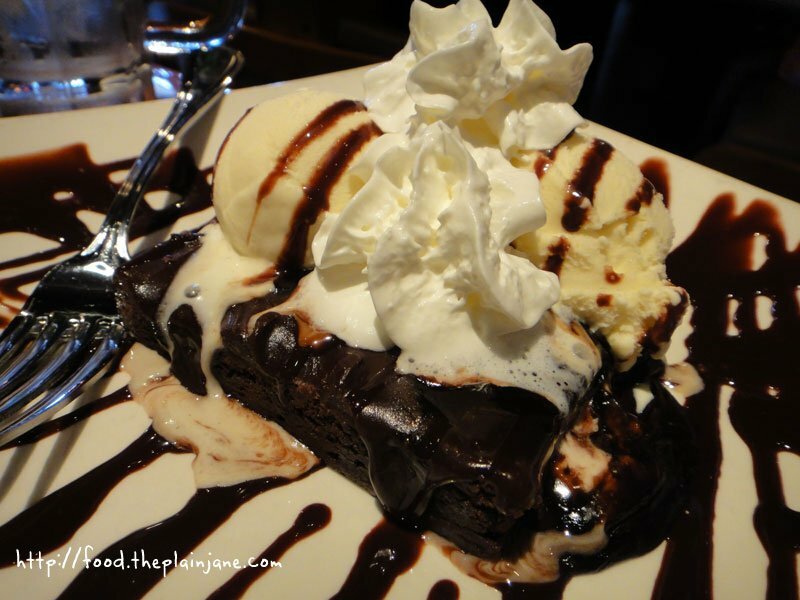 Their brownie is fudgy and gooey and with the chocolate frosting on top, it makes it totally decadent. I ate a little less than half before pushing all the ice cream off, drying it off with a napkin and taking it home for later. It doesn’t seem like it’s necessary to sign up for this, but you can by joining the Islands Tiki Link for a free dessert for your birthday. Score with the free dessert! I think lost count how many scoops of ice cream was in the photo. heheh, it’s 2 scoops of ice cream. The whipped cream makes it looks like more! Birthday desserts are the best! Pretty awesome that the waiter let you keep the coupon to reuse it! Good idea pocketing the brownie to finish later. I think I would order desserts more often if restaurants made them smaller (and reduced their price!). It’s not often that I can finish a restaurant meal and also have dessert, even when I’m sharing the dessert. Desserts are my weakness, but the dessert at Islands was way, way too big for one person! Too bad they don’t have “single portion” desserts.